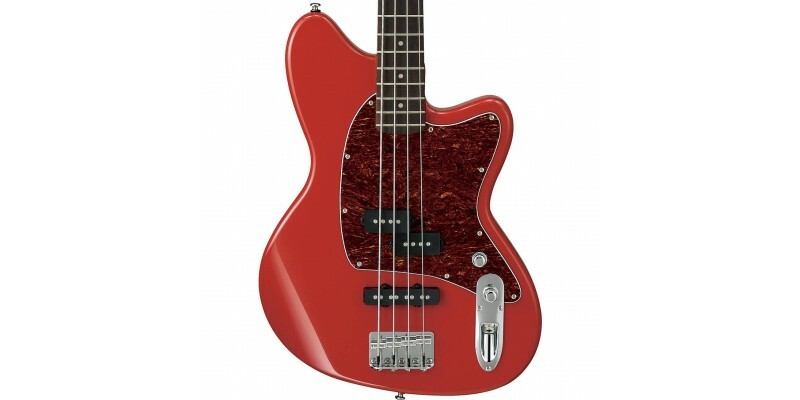 The Ibanez TMB100 Coral Red Talman bass guitar features active electronics. The offset body in gloss Coral Red with tortoiseshell pickguard looks super cool! Pop in to our Glasgow shop to try one for yourself. If buying online we'll make sure you receive a perfectly setup example ready to play straight out of the box. We ship fast to the UK and Europe. The offset body of the Ibanez TMB100 not only looks great but is compact and comfortable. The body is made from Mahogany. The 34" scale Maple neck is fitted with a Jatoba fingerboard and 20 medium frets. The TMB100 Talman is loaded with an Ibanez DXP neck pickup and DXJ bridge pickup to provide a rich, vintage sound. Ibanez Custom Electronics 2-band active EQ offers a variety of tonal options. The stacked controls give you volume and pickup balance on one with treble and bass boost and cut on the other. 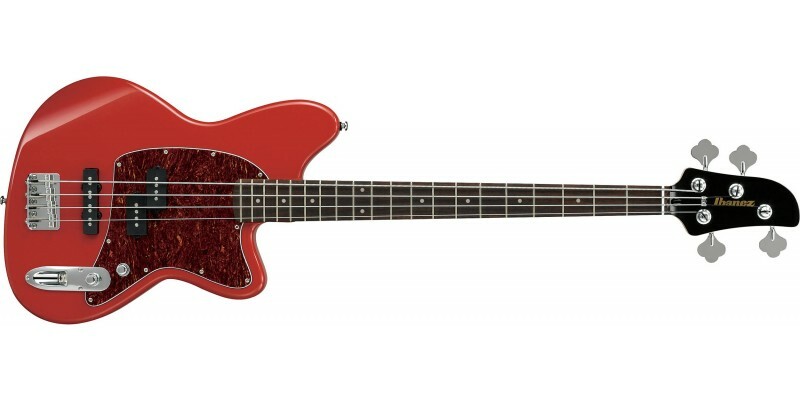 Ibanez Talman TMB100 Coral Red is a great quality bass guitar that will make you stand out from the crowd.